For us, the job well done is not just the execution, but also the ingenuity behind each of our achievements. Designed by a team of experienced engineers at its head office in Quebec City, our products reflect the distinguished work and effort involved in the design and manufacture of equally functional faucets, shower sets, furniture and sanitary facilities. 'aesthetic. Thanks to our proven expertise in recent years, our research and development team has enabled Rubi to reach a new peak as a leader in the creation of innovative and eco-responsible products. The new Cozi shower column embodies the concrete result of all these efforts. Therefore, Rubi is paving the way for a new era where environmental considerations will not be a hindrance to the effectiveness of our products. The art of combining efficiency with the modern and refined style of Rubi. 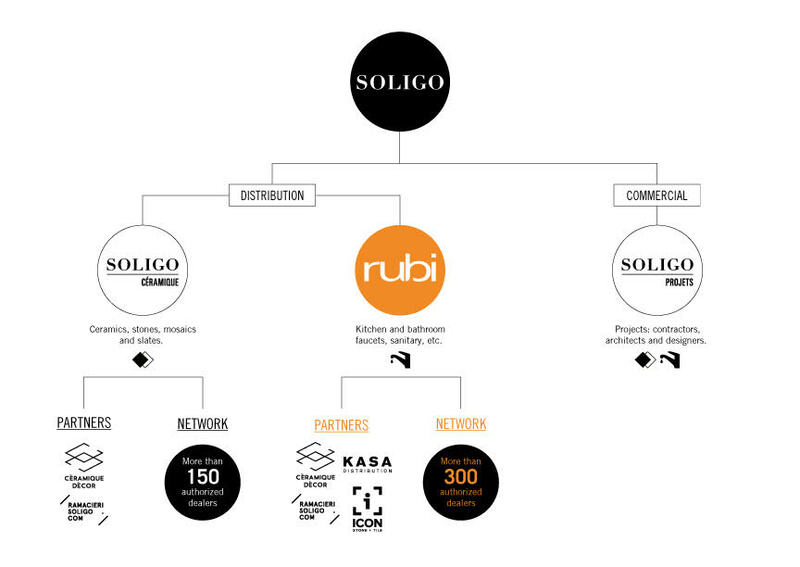 Rubi continues a long tradition of excellence within the Soligo family, having gained nearly 50 years of retail experience which has lead us to more diversified operations over the last few decades. Our team of design, research and development, marketing, sales, service and support are dedicated to recruitment, product experience, training, follow ups and to the success of our network of authorized dealers. As a renowned specialist in the sale of kitchen faucets and sinks, bathroom faucets, sanitary ware and bathroom furniture, we offer solutions that result in the creation of efficient and reliable product that continue to perform year after year. Supported by a strong network of over 300 retailers, we offer advances products while offering the most advantageous after sales service. The importance of healthy growth and development where diversity plays a big role are fundamental in expressing Rubi's ambition towards the national and north American markets.